Sub-Saharan Africa is home to over 200 million young people aged 12 – 24, with the youth population predicted to peak in 20 years. While young Africans are increasingly mobile, around three quarters still live in rural areas. By tapping in to their skills, energy, creativity and willingness to take risks, African youth could play a critical role in revitalising rural communities and enhancing agricultural productivity. But evidence suggests young people are choosing not to pursue livelihoods in agriculture, resulting in an ageing of the farming population. This could jeopardise possibilities for agriculture-led growth across the continent, yet the views, perspectives and choices of young men and women are rarely considered in research and policy making in the agriculture sector. Who are Africa’s future farmers? What is the evidence for an ageing of the farming population and what are the implications for agricultural growth? Is there anything preventing young people from entering or remaining in agriculture? What kinds of livelihoods are rural youth pursuing and what underlying factors influence their choices? How is this different for young men compared to young women? What policies, programmes and activities will give Africa’s rural youth the knowledge and skills they need to benefit from, and contribute to, more vibrant rural economies? What role do young people play in natural resource management and how do they engage in preventing and adapting to climate change? Is the failure to deal with agrarian development a root cause of youth involvement in conflict in rural Africa? Should development return to youth unemployment as a key issue? 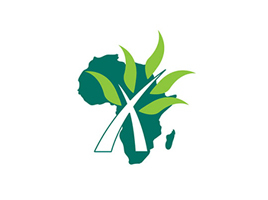 Many researchers and development professionals with an interest in poverty, agriculture and rural areas in sub-Saharan Africa (SSA) view agribusiness with suspicion. For them, agribusiness is synonymous with big business, transnational corporations, globalisation, international capital, export crops and large-scale plantations. Women and Girls: Farmers of the Future?